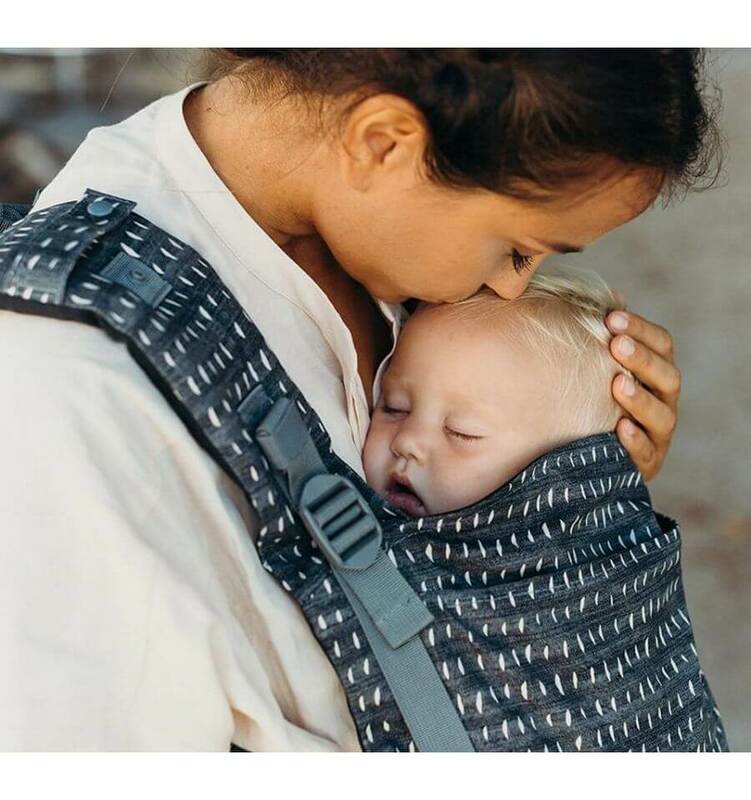 The Hop-Tye Classic can be used from birth because the seating area of the carrier is adjustable in width from 20 to 40 cm. 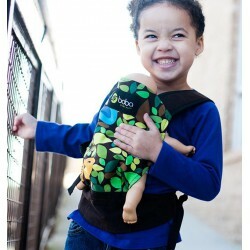 By means of an integrated elastic band at the sides of the back panel the baby carrier adapts by itself to the height. 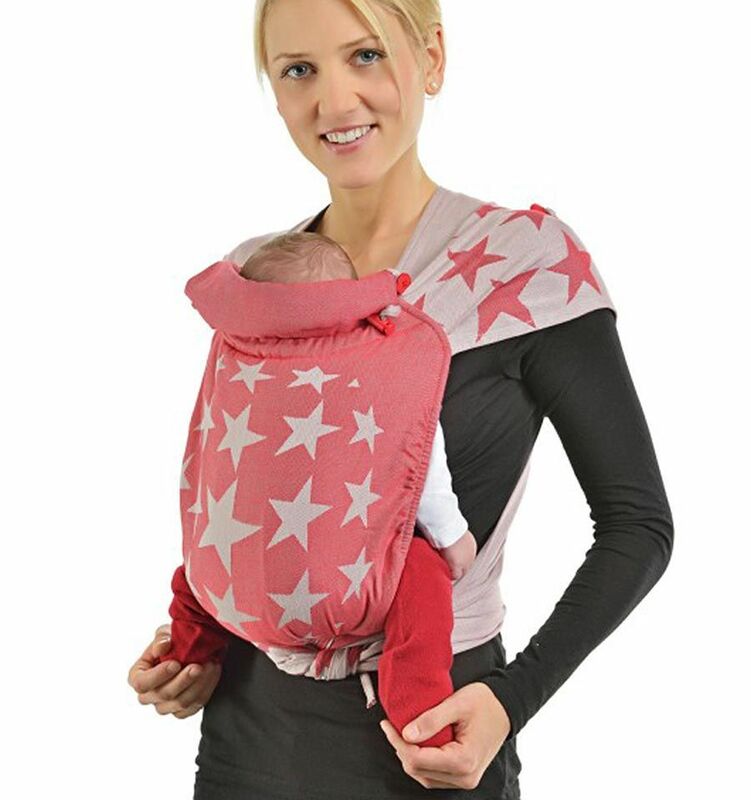 In addition, the upper portion of the back panel is adjustable so that the neck of the baby is optimally supported. The Hop-Tye Classic is lightweight and compact. 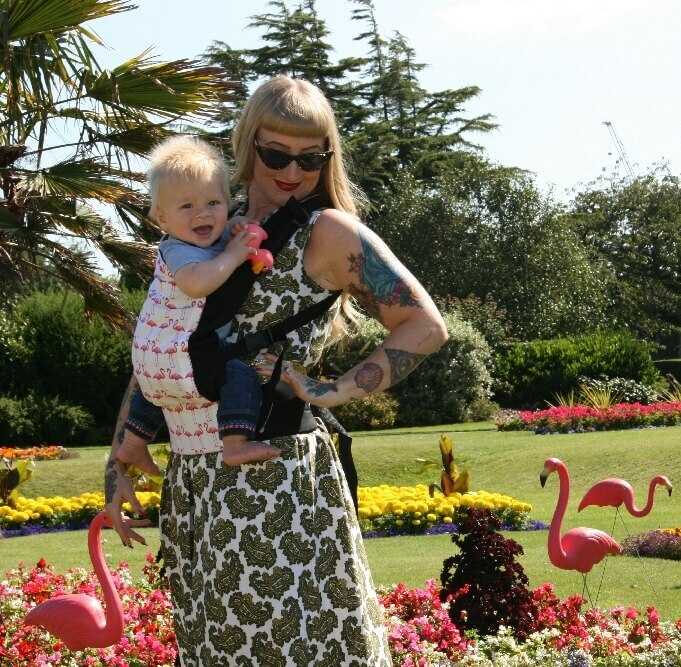 The shoulder straps are long and wide and can be fanned out over the wearer's shoulders to spread the baby's weight evenly. The hip belt is padded for superior comfort. 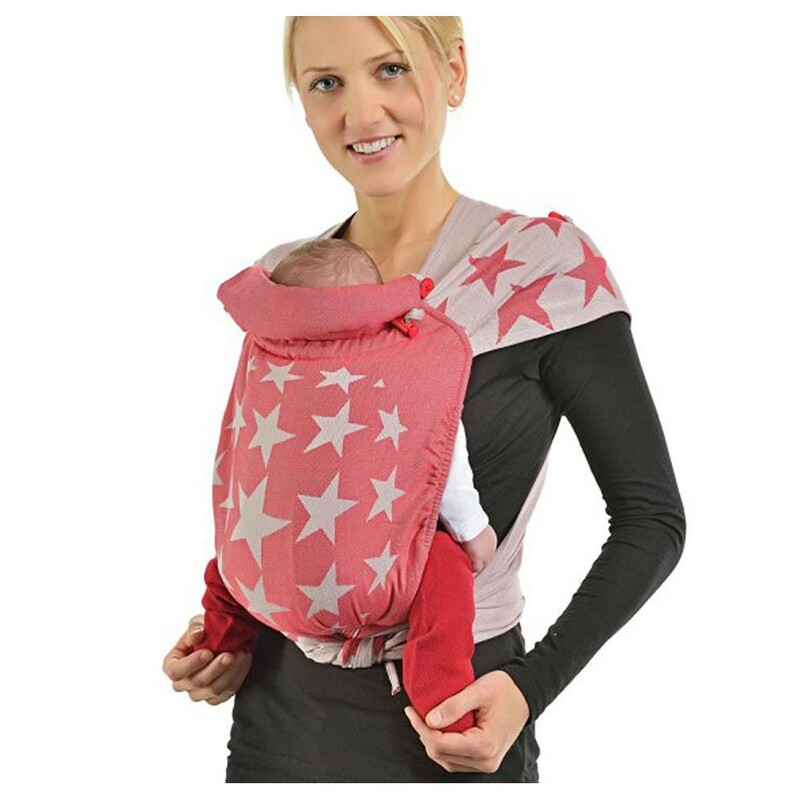 A rollable sleep cap provides extra head and neck support. The Hop-Tye Classic is suitable for back and front carry and comes with a detailed instruction booklet.